The Gold Coast is approximately one mile west of the strip. 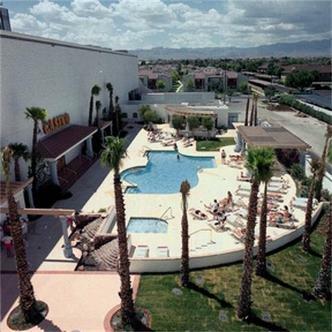 The Hotel and Casino are surrounded by acres of free parking and two easy access parking garages. The Gold Coast also has a free shuttle bus that carries guests to and from its sister properties, the Barbary Coast on the Las Vegas Strip and the Orleans a mile and a half west of the strip on Tropicana Ave. The hotels? amenities include a complimentary child care facility, a state of the art fitness center, a beauty and barber shop, and a free style swimming pool. Banquet and meeting facilities. Five restaurants and 24 hour room service.